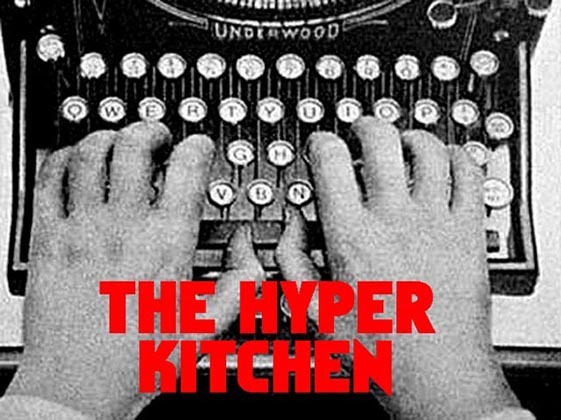 The Hyper Kitchen: Fire and Brimstone or the Rocket's Red Glare? 1942 was a breakthrough year for Jack Whiteside Parsons, an ambitious, brilliant, and mustachioed chemist hailing from California. Parsons came from a dysfunctional family and had little success in school, and yet (perhaps inspired by his love of pulp science-fiction magazines) he and a group of friends went on to found the now-famous Jet Propulsion Laboratory and win a contract with the U.S military. Doggedly searching for a stable solid fuel for rockets, Parsons finally came across potassium perchlorate. His discovery would allow for the development of superior rocket technology and ultimately lead to man's exploration of space. Besides his passion for chemistry and engineering, Parsons had another major interest. That same year, he was inducted into the Ordo Templi Orientis (or the O.T.O. ); a brotherhood of black magic founded by none other than the notorious occultist Aleister Crowley. It was Crowley himself who oversaw the initiation and placed Parsons as the head of the California branch. So, all in all, it was definitely a memorable time. Parsons was a follower of Thelema, an elaborate mish-mash of arcane practices that Crowley had cribbed from archaic sects from around the world. Parsons fiercely believed that these mystic rituals were components of the same forces he observed as a scientist, and as the leader of the Californian O.T.O. lodge he took his duties seriously (even collecting dues from the other would-be-wizards). His esoteric ideas irked his colleagues and threatened his military employers. In spite of the valuable discoveries he had made, he was bought out of his own company in 1944. It was around this time that Parsons had accumulated a gang of eccentrics living in his large Pasadena house (known as the Parsonage). The ranks of this motley crew included Robert Cornog (a physicist who had worked on the Manhattan Project), cartographer Marjorie Cameron, and L. Ron Hubbard, a hack writer with sinister ambitions. The group endured thanks to a mutual interest in science, science-fiction, and libertarianism. Parsons became especially friendly with Hubbard, and, in 1946, included him in an astounding plan to bring about a new age for mankind. Drawing inspiration from Aleister Crowley's writings (and from some favorite pulp sci-fi stories) Parsons became convinced that the world was under the malign influence of a force called "Horus" that would eventually lead to "power governments, war, homosexuality, infantilism, and schizophrenia." As is the pattern with these things, a messianic figure was called for, and Parsons decided to perform a magical ritual called "Babalon Working" that would create a divine "Moonchild." He was to be the father, and Marjorie Cameron was to be the mother. Hubbard was appointed the official stenographer and took notes while observing the ordeal. Parson's life deteriorated after that. He tried to start a boat rental enterprise with Hubbard, only to have Hubbard steal the boat, the start-up funds, and Parson's off-and-on-again girlfriend Sarah Northrup. The coast guard intervened, but Parson was ashamed by the experience. He sold the Parsonage and resigned from the O.T.O. Hubbard, meanwhile, happily went off to found Scientology and ruin thousands of lives. Parsons died in 1952, after being caught in an explosion of highly unstable mercury fulminate in his private laboratory. He had been reduced to making explosives for Hollywood special effects companies and was in a rush to complete a contract. 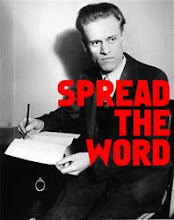 Despite his crucial contributions to the world of rocketry and space travel, Parsons is a fairly obscure figure today, known mainly to modern Thelema cultists and enthusiasts of the paranormal. He received a rare posthumous tribute when a moon crater was named in his honor. Superb article. By the way... when you say, "Hubbard, meanwhile, happily went off to found Scientology and ruin thousands of lives," what I think you mean is "Hubbard, meanwhile, happily went off to found Scientology and ruin hundreds of thousands of lives."